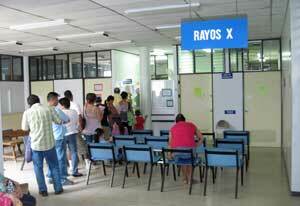 The Caja is Costa Rica’s public health care system. The full name is the Caja Costarricense de Seguro Social (CCSS). I call the Caja the “trump card” because it’s one of the best – if not the best — health care systems in Central America. Many consider it to be one of the best universal health care systems in the world. It’s not perfect, but it’s already saving us a lot of money every month, and we are a lot more relaxed and less stressed regarding our medical futures. Our monthly out-of-pocket medical costs are less than $150 per month, mostly for prescription drugs not covered under Caja, and including vitamins which we also purchased in the U.S. There are no more doctor co-pays, pharmacy co-pays, nor is there a large monthly premium. In addition, all pre-existing conditions are covered. To give you an idea about the difference in pricing of prescription medicines here, when Gloria was visiting the U.S., she checked to see the cost of buying out-of-pocket a medication she takes that isn’t covered by Caja. She compared the cost of buying the generic in the States to the name brand purchased here (the generic wasn’t available in Costa Rica). The generic in the U.S. was more than twice the cost of the name brand purchased here. Should you desire to use the private system in Costa Rica, as we have at times and many people do, you will still save a lot of money. We have seen specialists privately for about $50 a visit and have had tests done (biopsy, ultrasound, PAP smear), all of which have been around $30-$70 each. We’ve learned the system and we use it extensively. Gloria even had surgery here in San Ramon last year, with great results. You can read about her experience here. 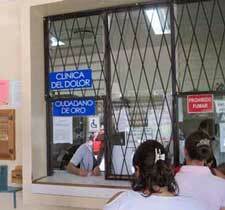 And you can contact us if you would like help navigating, or learning about, the Costa Rican health care system. We agree with all that you wrote. Our experiences with CAJA have been quite positive too. The community EBAIS in San Josè de la Montaña is well-run and staffed by nice folks. Of course, this is NOT a Gringo enclave, so we are almost treated as “pets” or at least a curiosity. Some of the drugs I took in the States are not available with CAJA but suitable substitutes were. A lot of that has to do with the drug companies extending their exclusive base patents by regulatory tricks rather than any real medical benefit. My drug costs are zero. One thing I might add. CAJA is a statutory requirement for those with any type of formal residency here. It is NOT available for tourists, perpetual or otherwise. It is great that you share so much of your experience with healthcare in Costa Rica, since it is an area that can be hard to get good information about. You’ve shared that your CAJA premium has gone up to $55, and that sounds like voluntarios are paying much less than new or prospective immigrants can expect. We’ve been advised by the ARCR (Association of Residents of Costa Rica) that the CAJA premium is 13% of income! Do you have some info about how CAJA costs are now assessed and the amounts for new retirees with residency since CAJA participation became a statutory requirement? ARCR is correct. Since the laws changed a few years back, they are basing monthly Caja on 13% of the amount you use for your residency, so if your monthly Social Security is $1,000, your Caja would be $130/month. We came in under the old law so are paying a lower monthly rate. The raise in rates is unfortunate for new people coming to Costa Rica, but it’s still a lot less than what it would cost in the U.S. for the same coverage. Now that Canada’s medical health care system is deteriorating (due to excessive immigration policies), my wife and I have decided to retire in Costa Rica. We senior citizen Canadians paid excessive personal income tax for our entire lives to have free health care coverage “but we can’t even get a family doctor”, and the line-ups at the clinics are about the same as in Costa Rica. I can understand a US citizen having even more desire to take advantage of Costa Ricas low cost health care system, “but I have a feeling the rates will double for immigrants in the years ahead”, like the property taxes did. I also suspect that taxes will soon be placed on money coming into the country, such as Social Security etc. We’ll all have to go back to being 90 day tourists if that happens. Costs have already risen on monthly Caja payments for immigrants and it’s certainly possible it may happen again. We are currently paying about $52 per month per Caja, but we came in under the old law which only required $600/month Social Security/pension per month. Currently, the rate is 13% of declared Social Security, so if you have the minimum of $1,000, your Caja payment would be $130/family. We feel that, even if (when) the rates rise in the future, it will still be affordable compared to the U.S.